Thinking of relocating to the mid Vancouver Island? Painted Turtle Guesthouse is an ideal place to use as a base-camp while you look for your new home. 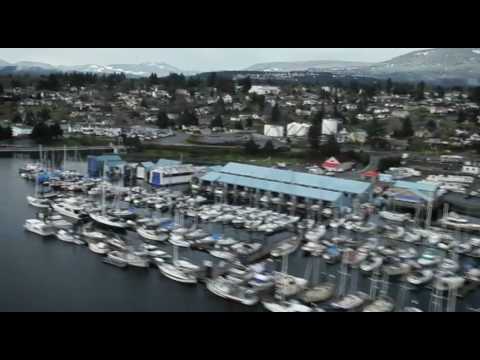 Located centrally in downtown Nanaimo and a short distance from the float planes, water taxi's and ferry port, we are a perfect place to start the search for your new home. Make the Painted Turtle Guesthouse your base-camp while you explore everything that the island has to offer. We offer weekly rates on Family Rooms and Comfort Rooms. And, we are happy to provide you with maps, friendly tips about the City, and can share OUR stories about relocating to Nanaimo - from abroad, across the country and from other Island regions. Nanaimo is open for business & investment! Coast Realty Group is located across the street in historic downtown Nanaimo. Detailed Nanaimo street maps are available in their office, and we happily recommend many of our guests to their office for residential rental and home purchase enquiries. DTZ Nanaimo is located across the street (the other way) here in downtown Nanaimo. DTZ is our OUR commercial realtor, and on request we refer our guests to them for commercial rental and purchase opportunities.